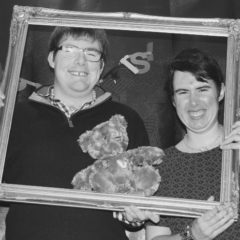 Exclusively Inclusive is a voluntary community group who have been organising inclusive social opportunities in and around the Skipton area of North Yorkshire for the last few years. We believe that loneliness is the only real disability and a tremendous barrier to health, wellbeing and happiness. As such we work to reduce social isolation and to help people connect and develop real meaningful relationships. We believe that services can often isolate people and we want to encourage and empower people to contribute their gifts to enable a more inclusive community where we help each other to take part and enjoy an ‘ordinary life’. We have a strong belief in ABCD and value the gifts, skills and contributions of all members of our community no matter what age, race, gender, disability or any other label imposed on them by others. We believe that anything is possible and have an ethos of “where there’s a will, there’s a way”. 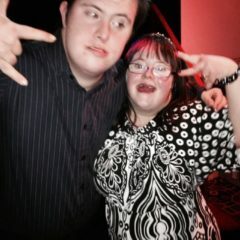 Our disco and party nights which are held in Skipton each month, from 7.30 pm -to 11 pm, began when we were inspired by a couple of people who shared a love of music and dance both of whom had labels of learning and physical disabilities. 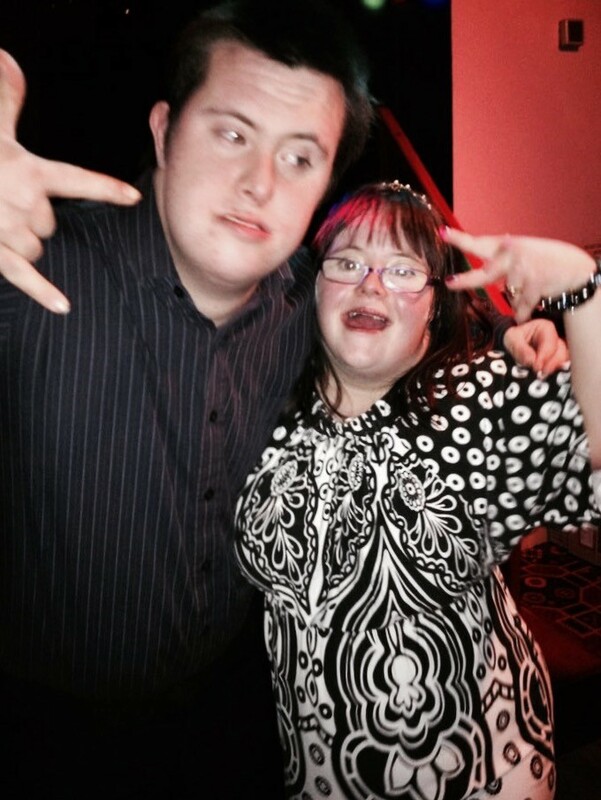 They have a deep love of music, dance and socialising but due to their disability were often excluded. Prior to our disco nights their experiences had been limited to “youth club type” environments with sessions that finished around 8 pm. We wanted to create opportunities in an adult environment with a bar and disco lighting, so that people of all abilities could enjoy an adult event which is inclusive. 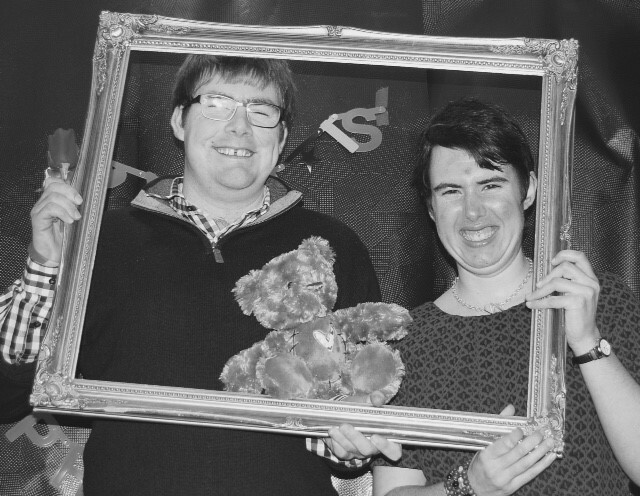 We have developed the ‘party theme’ and each month we build in a Photo Booth where partygoers can dress up and have fun photographs taken by our guest photographers. This has proved to be very popular. With the help of a Community Catalysts grant, we are working on updating our equipment to make it more user-friendly and are looking to offer workshops for people to have a go at DJ-ing with our resident DJ Candy Pop. We are very grateful to the White Rose Club in Skipton for the use of their club room. Our Rendezvous group gets together each Friday during the day. Everyone and anyone is welcome to join in and we have a small number of people who are regular participants. The group works co-productively, all ideas for things to do are generated, planned and advertised by group members. 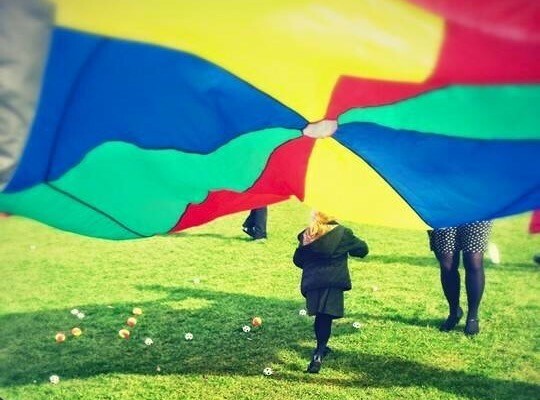 So far, among other things, we have celebrated the International Day of Happiness by producing a ‘shelter of happiness’ in the local park offering homemade buns and cakes as well as providing opportunities for local families to play together and have some fun using our parachute and other fun activities. We have had a trip to The Lowry, visited the galleries and had a go at creating our own works of art. Future plans include local walks and film club. 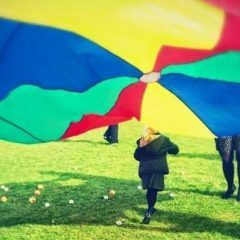 We are aiming to become a social enterprise and intend to continue to create more learning and development opportunities for families and others in our community. Please do get in touch if you would like to get involved or if you would like to be added to our mailing list to be kept informed of future developments.